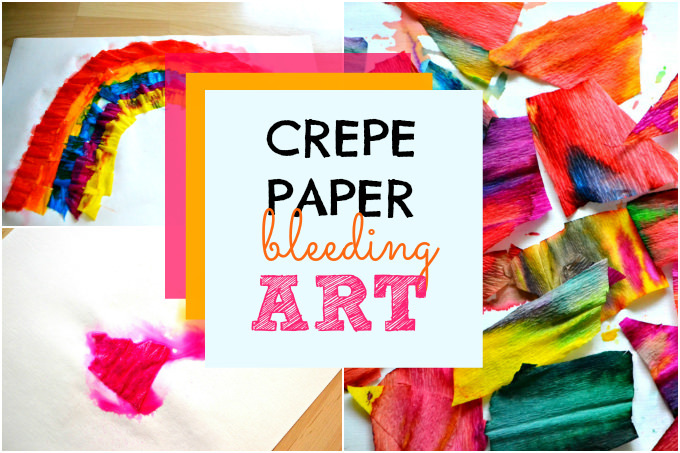 You’ll only need some crepe paper, watercolor paper and water to create this amazing and fun crepe paper bleeding art! 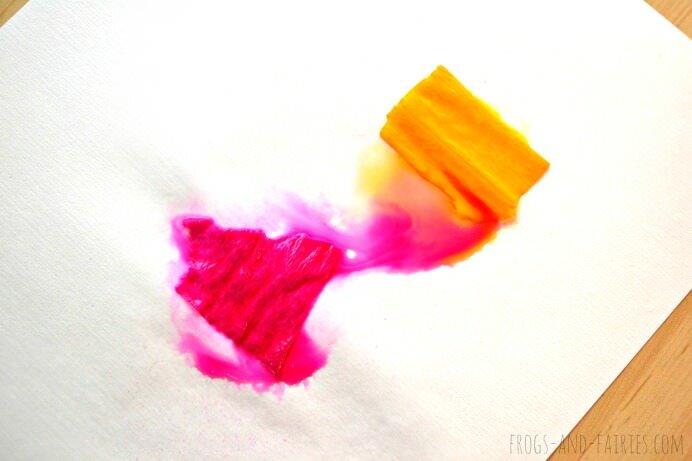 I got an inspiration from It’s Always Autumn, where they used tissue paper to create transfer art.We didn’t have any tissue paper at home, but a lot of crepe paper from some other projects, so we tried and it worked! Similar, but with kind of surprisingly different and just as beautiful results! 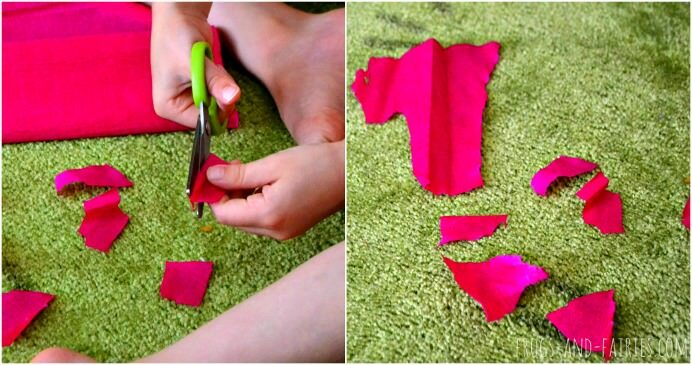 First, cut up the crepe paper into small pieces. 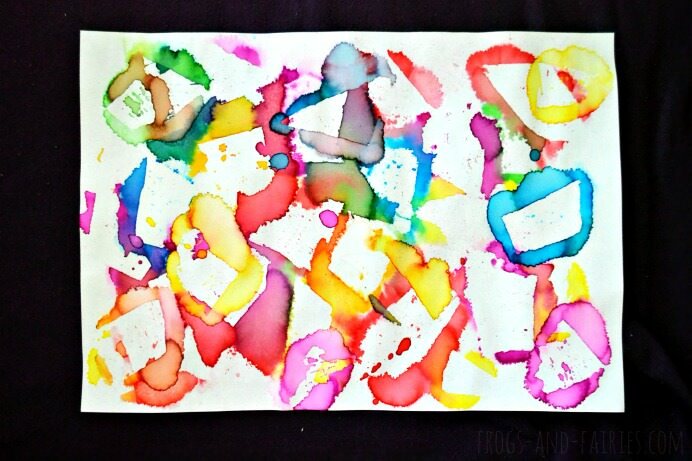 Let the kids cover the watercolor paper with the colored pieces. 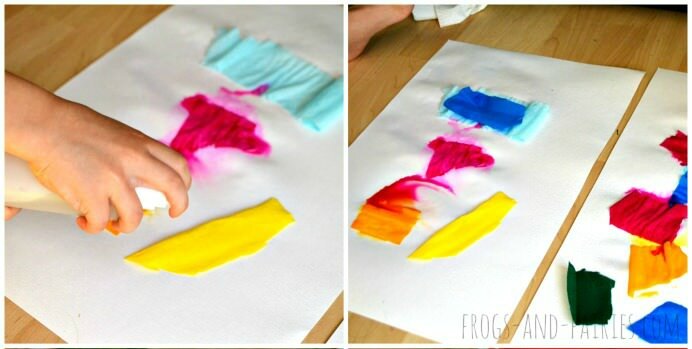 Fill the spray bottle with water, then spray each paper piece. 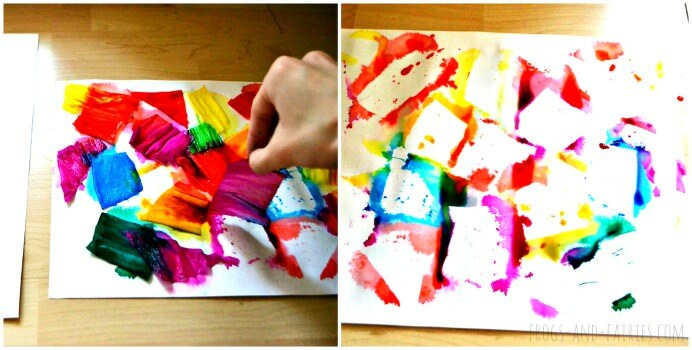 Either cover the whole paper with color crepe pieces first and spray later or just spray each piece immediately. 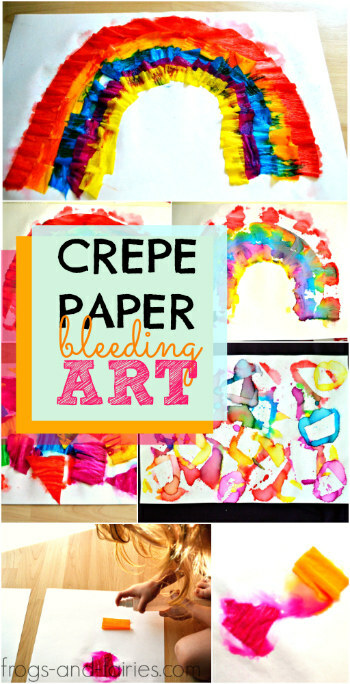 Let the kids explore the process and how the bleeding art works! 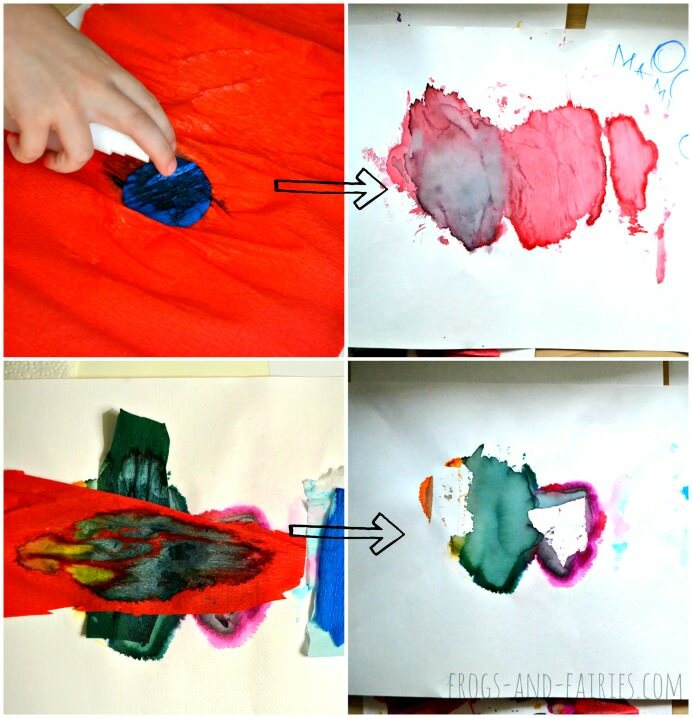 The colors will bleed from the crepe paper onto the watercolor paper creating an interesting effect. It’s time to see the result! 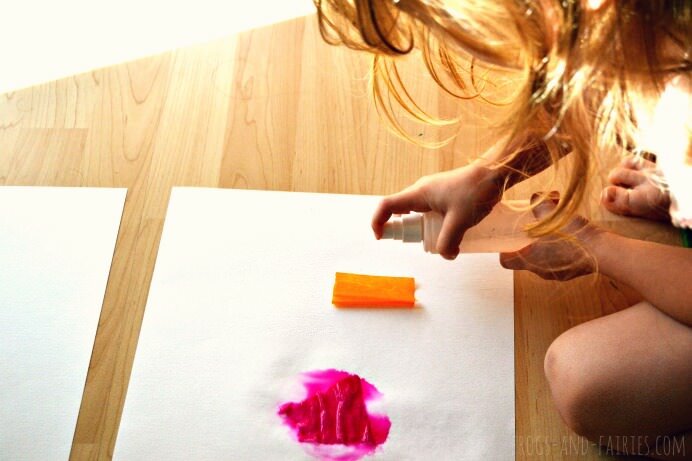 Remove the wet tissue paper and let the watercolor paper dry completely. We found out that the colors bled mostly around the colored pieces, not so much through them. We got an interesting picture with fun shapes and beautiful colors! After we were done with our first artwork, my daughter began to create her own, while experimenting with crepe paper and water some more. 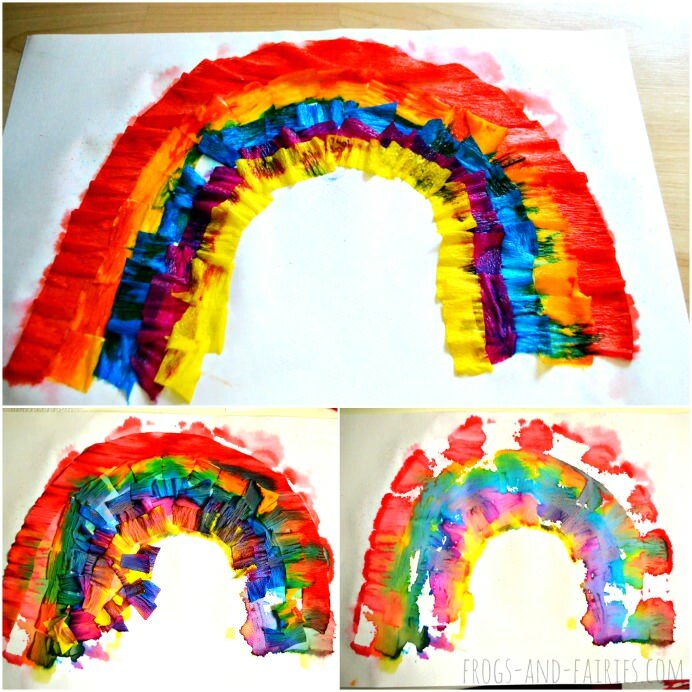 Then we tried to make a rainbow by cutting the crepe paper into smaller pieces. I was really curious to see how the final product is going to look. 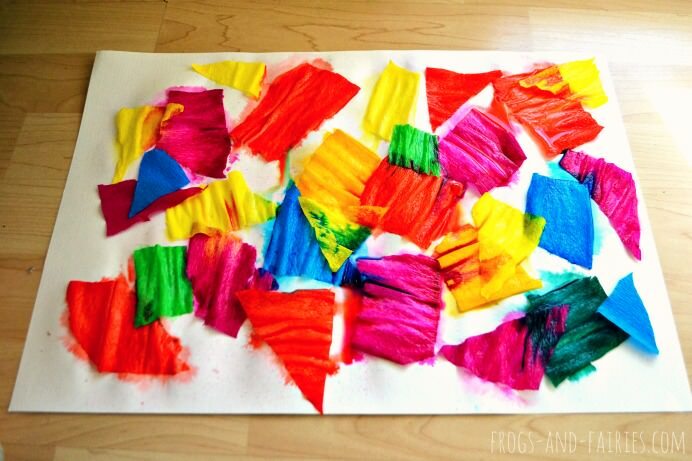 At the end, you’ll also get some pretty pieces of crepe paper to add to another project! We really loved this activity and I hope you do too! Enjoy!